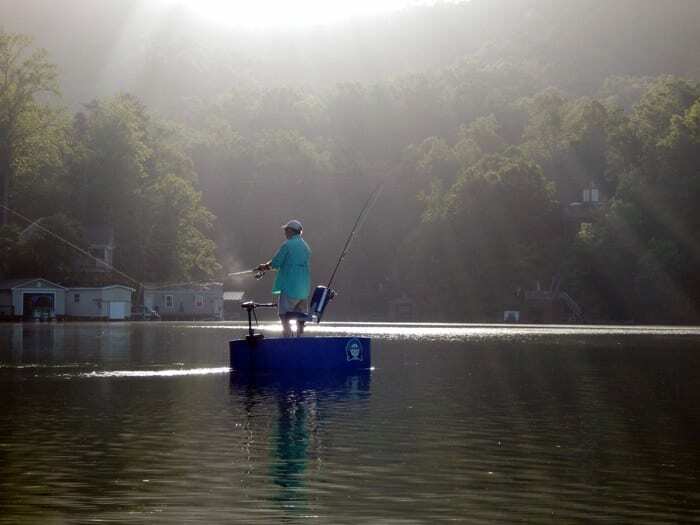 The centered swivel seat offers anglers the ability to literally spin and re-aim on the fly. No more back casting over your shoulder, or trying to reposition on a fast moving fish that you are going to spook/miss. Just spin and cast. For many backwater and even flats fisherman, this is one of the best aspects of these platforms. 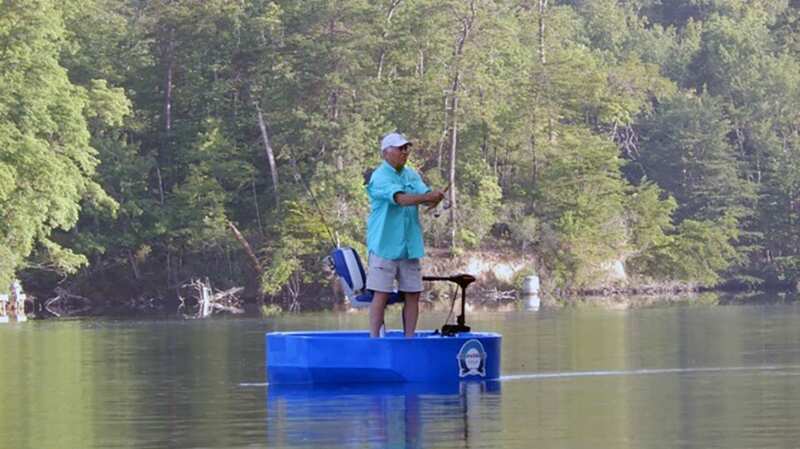 The huge deck space: Because these boats are so stable, stand up fisherman can simply step around to re-aim wherever they want to cast- with ease. Roundabout was able to free up this deck space by providing all storage under deck, with 4 different access hatches. You can keep your deck clear of objects, yet you can get ahold of them without hassle and within a moments notice- as needed. Lastly, don’t feel like spinning around in your seat, or walking around the deck? Sure thing, just kick that motor handle over and these will literally “spin on a dime”. 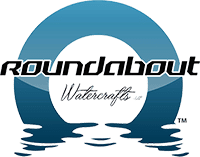 With all of this “round” that makes for awesome 360 degree fishing, many don’t see a round boat as something that will track well based on initial view or opinion of a round hull. But the reality is that between the carolina flare bow and the full length strakes under the hull, these boats track on par with most other flat bottomed boat options out there. This bow and strake system also allows the angler to “park it”, on the fly, in a current. Simply point the bow upcurrent and kick your trolling motor speed up just enough to match the current. The boat will “stick” so you can bang that shoreline without trying to angle up off a stakeout pole or anchor line. But of course, the option also exists to add an even faster method by utilizing the Micro Power Pole Anchor system or the Wang Anchor System designed to fast deploy right off the hull – which can be purchased on this site specifically for the Roundabout line of boats.